Your email and phone call metadata certainly isn't private, but maybe you were holding out hope that good old fashioned snail mail somehow avoided big brother's living gaze. The Smoking Gun broke the bad news a month ago, and now the New York Times is confirming that nope, that's all being tracked too. Surprise surprise. It's by no means a new development; it's been going on for years. But now the details of the whole system are coming to light. Fortunately, the sanctity of your mail's contents is only defilable if there's a warrant involved. There's none needed to track all the sweet, sweet metadata, though. The surveillance system is known as the Mail Isolation Control and Tracking program, and was instated in 2001 after the mail-borne anthrax attacks that killed five people. Since then, the program's been responsible for photographing each and every piece of mail the Postal Service handles. There were over 160 billion pieces last year. For mail cover requests, law enforcement agencies simply submit a letter to the Postal Service, which can grant or deny a request without judicial review. 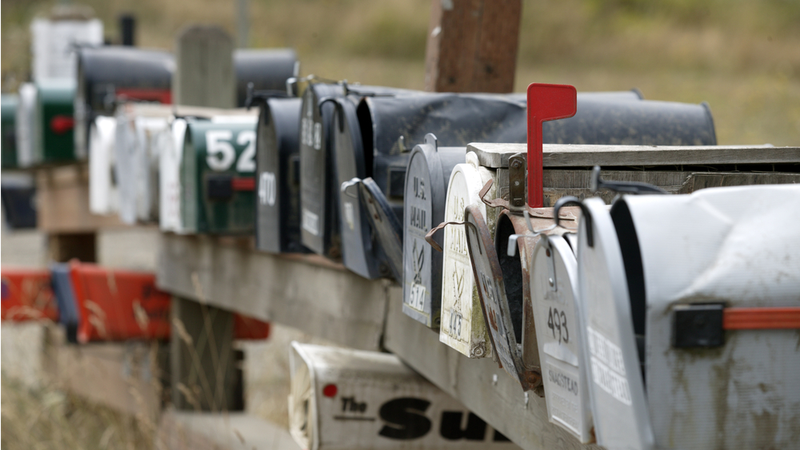 Law enforcement officials say the Postal Service rarely denies a request. In other government surveillance program, such as wiretaps, a federal judge must sign off on the requests. The mail cover surveillance requests are granted for about 30 days, and can be extended for up to 120 days. Surveillance like this can be initiated either for reasons of national security, or suspicion of more vanilla criminal activity. And though everyone involved is supposed to stay quiet about the numbers, anonymous sources told the Times there are about 15,000-20,000 criminal activity tracking requests per year. National security requests? Who knows.